Professional tree care is a must if you want your property to maintain its value through the years. Maybe you’re wondering, “Why can’t I just do it myself?” Here’s the thing: tree trimming and pruning are tasks that require the utmost precision. Should you make even the smallest of mistakes during DIY care, your tree’s health could be in jeopardy. That’s why it’s best to leave these projects in the hands of a company that’s been there and done that. 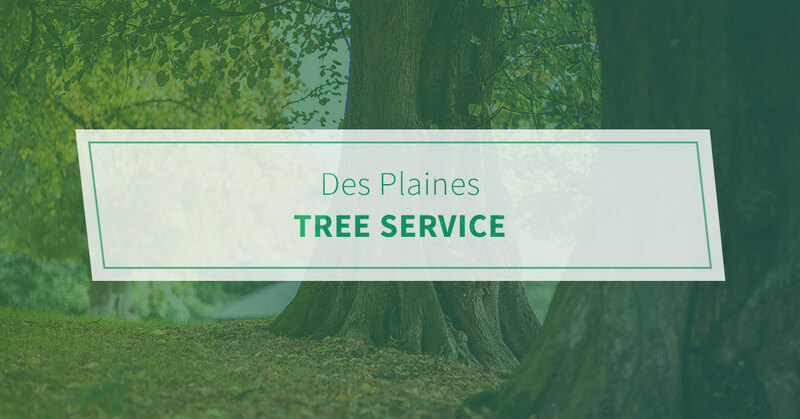 At Pro Tree Service, we’ve been serving residents in Des Plaines and throughout Cook County since 1989. Our team is ready to help with all of your tree care needs. Tree trimming – Does your tree have significantly dead, damaged, or diseased branches? Then it might be time for some trimming and pruning. Please be aware that the constant removal of limbs and branches can actually shorten the life of certain trees. It’s why we advise against recurrent tree trimming and pruning. Tree removal – There’s no question that removing trees and bushes carries a major risk of damage to a person, property, or both. Again, it’s best to contact a professional when handling such a task. Rest assured that Pro Tree Service is fully licensed, insured, and bonded to perform all removal services. You can count on us to walk you through the entire process, answering any questions along the way. Land clearing – We consistently work with real estate development companies when they need a large volume of trees and debris removed in a short period of time. So if site preparation is on your plate at the moment, make things easier on yourself by hiring Pro Tree Service. Now is the perfect time to experience the Pro Tree difference. Contact us today.